Chipped teeth are quite common, and most of the time, they are not serious. However, if the damage goes deeper than your tooth’s enamel, there is a risk of infection and tooth loss, and it can be painful. For these reasons, it is important to book an appointment with your dentist as soon as possible if you have a chipped tooth. If you can save the piece of your tooth that has broken off, take it with you to the dental appointment, as your dentist may be able to reattach it. In the meantime, here are some things you can do at home to reduce your risk of complications, and relieve pain. Rinse your mouth out with warm salt water to relieve pain and help to prevent infection. If you are bleeding, apply pressure to the area with clean gauze. 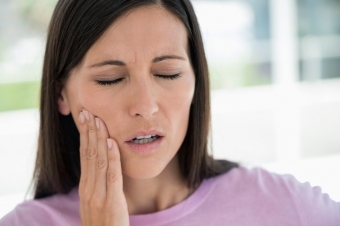 To reduce swelling, place an ice pack on the area of your face where the chipped tooth is. If the chipped tooth has sharp edges that rub painfully on your inner cheek or tongue, you can put sugarless gum or dental wax over it to act as a buffer. If you’re feeling sore, take an over-the-counter pain medication, such as ibuprofen. Until you can see your dentist, consume only liquids and soft foods. Depending on the type of chip and the extent of the damage, there is a variety of things your dentist may do to repair your chipped tooth. Small, superficial chips can simply be polished to smooth out jagged edges. For chipped molars, a dental filling may be required, while bonding may be a better solution for front teeth. Porcelain veneers may also be an option to hide cosmetic damage. For an especially large break, your dentist may place a dental crown on the tooth to prevent further damage. If the injury causes damage to the tooth’s pulp, a root canal may be required to clean out the inside of the tooth and seal the area. 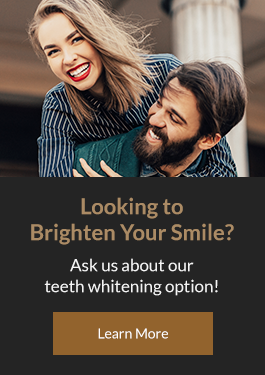 If you have a chipped tooth, contact our Calgary dentists today to book an appointment.